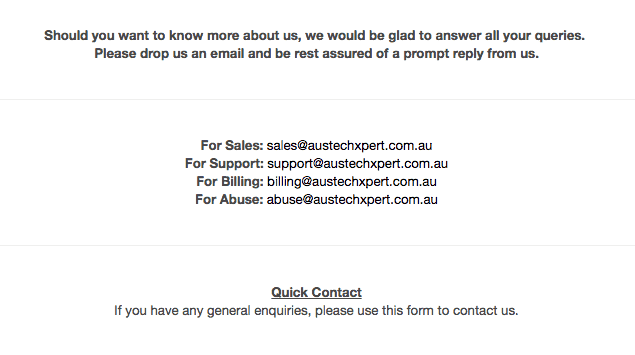 AustechXpert Review 2019: Is AustechXpert a Good Hosting? AustechXpert is an Australian company that has been selling reseller and shared hosting plans since 2005. The customer service offering is limited, yet the plans are surprisingly well priced and feature packed. AustechXpert was founded in 2005 as an I.T technical service and support company, however, it quickly expanded into website hosting and solutions. An Australian company, its Facebook and Twitter profiles are inactive, and it’s website is provided in English only. Despite quite an old fashioned website, AustechXpert’s hosting plans are comprehensive. For ease of use, there’s a Fantastico Deluxe and Softaculous one-click installer, with more than 200 programs included, for example, WordPress and ZenCart. There’s also RV Site Builder Pro, which comes with a generous 780 ready made templates. The plans use cPanel, a well known and reliable control panel, and have an industry standard 99.9% uptime guarantee There’s also instant setup advertised, but I am not convinced that’s a selling feature. Although it is not a reseller of services, it’s not clear from the website where or how the servers are located or co-located. I can tell you that the company owns and operates its own servers and is 100% Australian based. The price for the shared hosting plan is good, especially given the fact that there’s unlimited disk space, bandwidth, domains, and subdomains. You can buy the plans in one, three, six, and twelve month terms, although there’s no discount for a longer term. It’s good to see a generous 45-day money-back guarantee, as well. Customer service is 24/7, which is great, however aside from that, the provision is very limited. The only option to get in touch is by email (there’s not even a knowledge base or FAQ section), and what’s worse, I contacted the team late night on a weekday and did not receive a response, despite waiting two business days. The all-in-one shared hosting plan from AustechXpert offers everything you need, from unlimited resources, to a website builder, and not one, but two one-click installers. While I can’t find fault with the well priced plan, it is let down by the lack of customer service options. 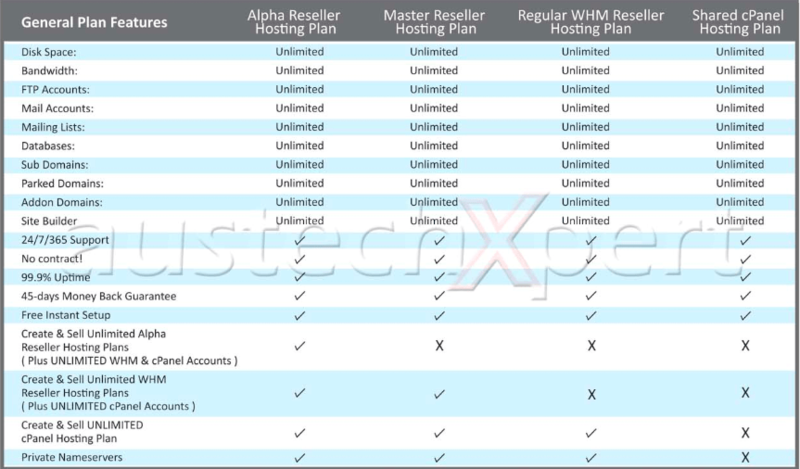 Wondering how AustechXpert stacks up against other Web Hosting companies? Enter any other Web Hosting company and we will give you a side-by-side comparison.